Vertiv has been selected to join the Ericsson Energy Alliance, a competitive ecosystem and management interface that aims to increase market share and top-line growth while evolving access networks towards 5G. The long-term agreement builds on the strength of the Vertiv global reach, unique product competence and service delivery, along with the speed and flexibility provided by its first-class research, design and engineering teams. 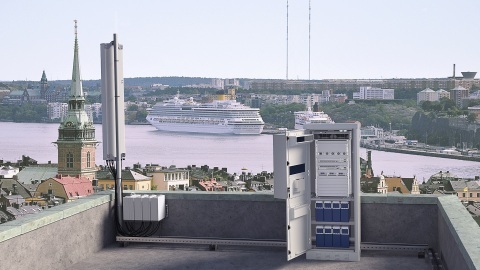 The Alliance is part of the Ericsson Radio Site System, which comprises all of the site infrastructure components required to provide network performance and operational efficiency to the mobile operator. The partnership allows Ericsson to compete more forcefully, broadening the portfolio with increased access to new technologies, strengthening the regional sales support, and establishing a consistent ecosystem to support telecom access networks and 5G deployments. The Alliance also allows Ericsson and Vertiv to engage closely in strategic product portfolio planning and development, with expected synergies in research and design, and time to market. Through the Ericsson Energy Alliance, Vertiv is providing a broad range of custom-made OEM (Original Equipment Manufacturer) power systems and enclosures, including solar hybrid solutions for off-grid or bad-grid sites. In addition, this is complemented by the Vertiv global product, solution and service offerings to meet any regional requirements. The Ericsson Energy Alliance has already delivered fruitful results for customers across Mexico, Saudi Arabia, Tanzania and Indonesia.